As news emerges that Huawei's global chief financial officer has been arrested in Canada, to be extradited to the US, BT has confirmed that it is removing Huawei network equipment from key areas in its 4G network. Already governments in the US, New Zealand and Australia have blocked Huawei devices from deployment in 5G networks, and it looks like BT, prompted by MI6 concerns, has decided to follow suit. The last time HEXUS reported on concerns about Chinese owned Huawei and ZTE was back in 2012, when the US government and US companies were urged to stop participating in projects with these companies due as the "pose a significant threat to national security". At that time BT and EE merrily continued to deploy Huawei hardware for communications infrastructure. In a statement reproduced by The Guardian, BT said that it started replacing Huawei equipment after acquiring EE in 2016, following principles it set out as far back as 2006. Furthermore, following these principles Huawei wasn't included in proposals for 5G core infrastructure. However, BT added that "Huawei remains an important equipment provider outside the core network and a valued innovation partner." Huawei was founded by a former officer in the People’s Liberation Army and it is unclear what, if any, links it has to the state. As well as the obvious eavesdropping worries, it is feared that the Chinese government could force Huawei to make equipment / components that could be remotely disabled or caused to fail. 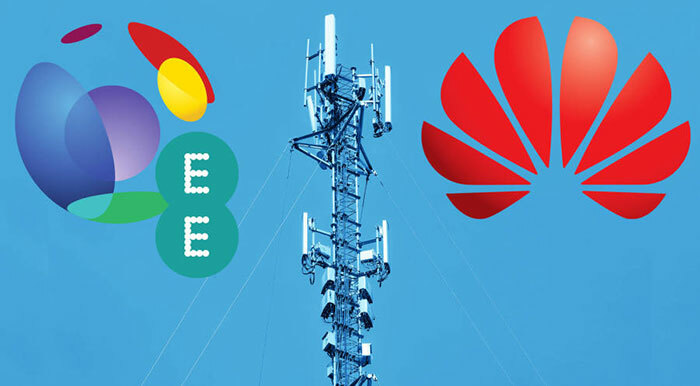 In a statement shared by ISP Review, Huawei responded to the BT news by saying it has "never had a cyber security related incident," since starting to work with EE in 2012 and that it had "earned the trust of our partners across the global value chain". Meanwhile, back to the arrest of Huawei CFO Meng Wanzhou in Canada, it is thought that the major reason for the arrest may be the suspected violation of sanctions against Iran and North Korea. Thus it would seem unrelated to the security concerns about Huawei hardware. Part of me wouldn't be surprised if the chinese government was using some “functionality” in their equipment to spy but I also wouldn't be surprised if the US and UK wanted it removed because it prevented them from spying! I'm not surprised MI6 wants rid of the Huawei equipment. It probably prevents MI6/CIA from installing back-door hacks into its equipment. It is a sad state of affairs when I actually would rather have a foreign agency snoop on my data than my own govt. And curiously there's a widespread data service outage on mobile networks today…. It is - when you reject a regulated system used for the protection of this country and its law abiding citizens for one that is unregulated and dedicated to industrial and military espionage against this country, affecting the economy and indirectly your security, safety and wealth.